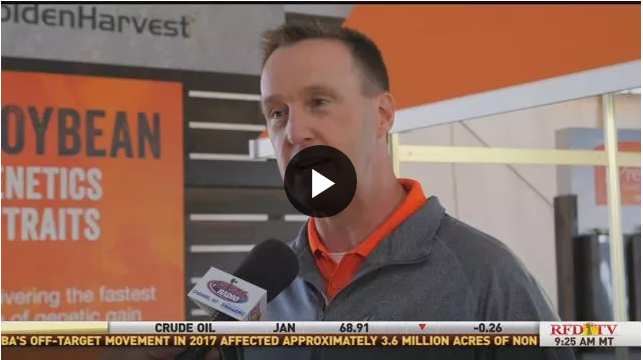 September 12, 2018 – As farmers start to think about soybean selection for next season, Soybean Product Manager Dennis Storm shares how Golden Harvest varieties are performing against competitors. Source: Mark Oppold – Host – RFD-TV in Nashville, TN.http://www.rfdtv.com/clip/14600722/farm-progress-2018-fri-1000 RFD-TV (Nashville, TN) is the nation's first 24-hour television network dedicated to serving the needs and interests of rural America and agriculture. The channel is produced and uplinked via satellite to all 50 states from Northstar Studios. Learn more at http://www.rfdtv.com.